Haemorrhagic stroke damage. 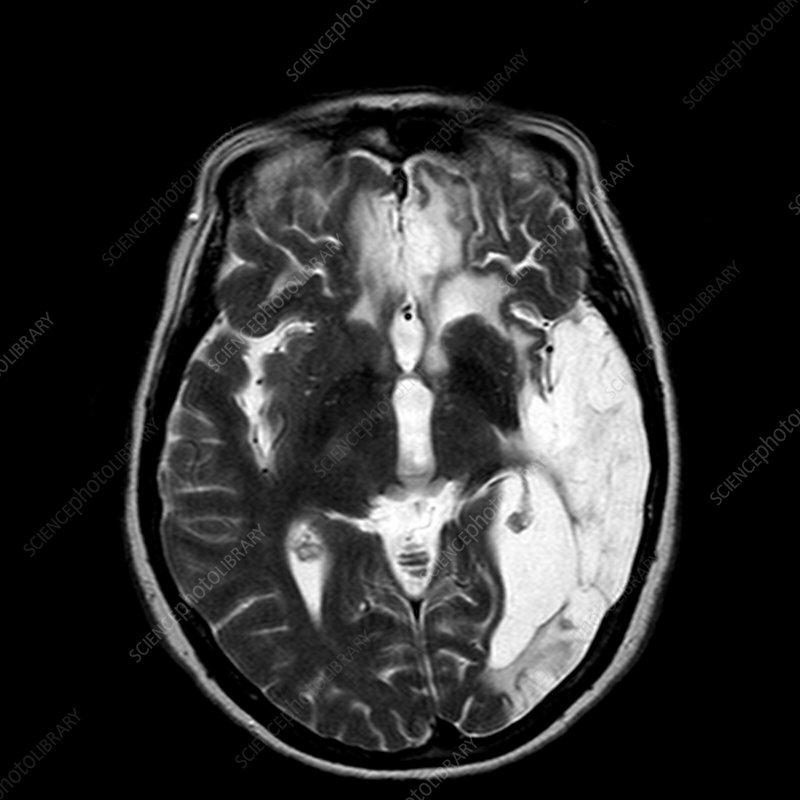 Magnetic resonance imaging (MRI) scan of the brain of a 68 year old woman two years after she suffered from a ruptured aneurysm. The resulting brain swelling and infarction (tissue death) of the left hemisphere can be seen in white. An aneurysm is where blood collects locally due to a diseased or weak blood vessel wall. If it ruptures, the bleeding can result in the death of brain tissue (a haemorrhagic stroke). Symptoms include headaches, nausea and loss of balance. Treatment was with coil embolisation, a minimally-invasive procedure that involves threading fine platinum coils into the aneurysm. This prevents the ruptured aneurysm ever rebleeding. It does not, however, speed up or enhance recovery.